YOU'RE READING When is the fat princess going to get her happily ever after? I have loved fairy tales and stories rooted in folklore for longer than I can remember. In fact, I think that my formative reading years comprised of my introduction into the romanticised and Disneyfied versions of stories I would learn, much later, were far darker in nature. That love has carried me into my adulthood and to this day, I still adore reading Hans Christian Anderson, Charles Perrault and The Brothers Grimm. The fairy tales of yonder have, I believe, rooted in us a belief that happily-ever-afters is the ideal to aspire to. And of course, there is no problem with that, since there’s a) nothing wrong with wanting to have the whole package and b) we all enjoy a bit of escapism, but while the foundation for these stories have enjoyed some modern adaptations and interpretations, I haven’t really seen any ground-breaking evolution in the stories in a way that has made it a norm, instead of an exception. 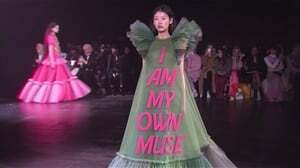 What I’m looking for, is something akin to Angela Carter’s The Bloody Chamber, or Lies, Knives and Girls in Red Dresses – both collections of subversive fairy tales that rely on dark narratives to illustrate and confront societal issues rooted in violence, assault and taking back control of sexist and misogynistic stories that act as enablers in justifying those behaviours. I’m not only looking for that, but I want stories that sees the fat princess get her happily ever after and the black princess getting her own story. I want genderqueer characters who aren’t the exception, but form part of a narrative that’s wholly inclusive and doesn’t use their identity to form the overall arc of the story. Give me unusual, unique stories that celebrate traditions and folklore from around the world – not just the ones known because of Disney. For example, a book that’s been taking the world by storm is one that is rooted in West African tradition and folklore. 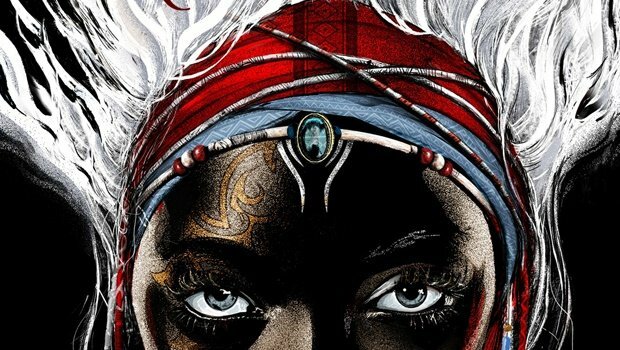 Children of Bone has all the marks of what makes a fantastic fantasy novel – a complex magical system that is a nod to the gods and goddesses of the Yoruba people, a fierce heroine fighting to bring back the magic that’s been lost to her land and to take down a ruthless and tyrannical king while she’s at it. Along the way she recruits a rogue princess (can we say AMEN to rebellious princesses who refuse to settle for anything less than carving out their own future) who helps to fight against a system that seeks to oppress and eradicate magic users completely. A must read novel which we’d totally love to give you the opportunity to read. And thanks to the publishers, we’ve got two copies to give away, so enter our giveaway right now. What are some of your favourite fairy tales? And which tale would you love to see being retold. I’d love to hear your take on these tales as old as time.